My life goal is to lower the barriers of knowledge through data. I am currently working for Naver Papago – and lowering the barriers of linguistic knowledge by building machine translation models. Current areas of interest include context-aware machine translation, and translation evaluation. 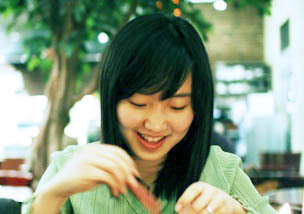 You can often find me on the Web as Eunjeong, echojuliett, echojuli&t, e9t. 2019-01: We had an interview with Data Skeptic regarding KoNLPy! Go have a look. 2018-01: I’m organizing Deep Learning Camp Jeju 2018, a sequel of the ML Camp Jeju 2017. 2017-11: I’m organizing the inaugural NLP-OSS Workshop with Masato Hagiwara, Dmitrijs Milajevs, Liling Tan – a workshop devoted to open source software regarding NLP, to be co-located with ACL 2018. Korean translation of Data Science from Scratch: First Principles with Python by Joel Grus. Proceedings of the 26th Annual Conference on Human & Cognitive Language Technology, Chuncheon, Korea, 2014. KoNLPy (pronounced “ko en el PIE”) is a Python package for natural language processing (NLP) of the Korean language. KoNLPy was a pet project I’ve done during my Ph.D. studies at Seoul National University, in order to lower the barriers of Korean NLP. Invited talk at AIMLP Workshop, ACML 2017 (2017-11-15). Jun 2014: Lee Joong Han Award - Research Division Winner, Industrial Engineering Dept., SNU. The Lee Joong Han Award (research division) is given annually to graduate students whose publication journal has the highest impact factor, among those with first authorships in the previous year within the Industrial Engineering department of Seoul National University. Granted $2,000. Dec 2013: Samsung Tomorrow Solutions Competition - Winner, Samsung Electronics, Ministry of Science in Korea. The Samsung Tomorrow Solutions Competition is a Korean national competition held by Samsung Electronics and the Ministry of Science of Korea, that aims to develop and implement solutions to make a change in our future. It was a 6 month long competition with more than 3000 participants and 1000 teams. Awarded the Minister of Science Award (first place). Prize approx. $50,000. Mar 2011: Ph.D. Scholarship, Samsung Electronics. Granted approx. $100,000 until graduation. Mar 2011: Global Ph.D. Fellowship, National Research Foundation in Korea. The Global Ph.D. Fellowship is a government grant program for young researchers. In 2011, 300 scholars were granted among 1270 applicants. Granted approx. $90,000 for 3 years. 2018: Co-organizer of Workshop for Natural Language Processing Open Source Software (NLP-OSS) @ACL 2018. I’m sharing experiences for the Web, books, music, quotes, and movies. Friends call me a dreamer or romantist to a fault - but I enjoy living my life as such. I am a productivity geek. I spend much of my free time automating things. I easily get addiicted to things, so I don’t start things easily. Riding my bike, swimming, scuba diving, playing the piano and making my own fresh coffee with a siphon. Adventures, smiling, learning, and pursuing community action. Exploration! As opposed to exploitation. I particularly enjoy exploring the realm of cuisines. I have two particular dishes I do not enjoy – 홍어, 추어탕 – but who knows? I may even come to like these in the future. I live with a cat named Lea. Languages themselves are not goals but tools of communication. Happiness brings smiles, and smiles also bring happiness. That there is no wrong and no right, is right. The individual is not something complete, perfect or finished, but something moving, changing, and above all initiating instead of final. Todo lo que es tiene más razones para ser que para no ser. Treat those around you as reasonable people, and when they have different opinions, try to discover what problem they are solving.